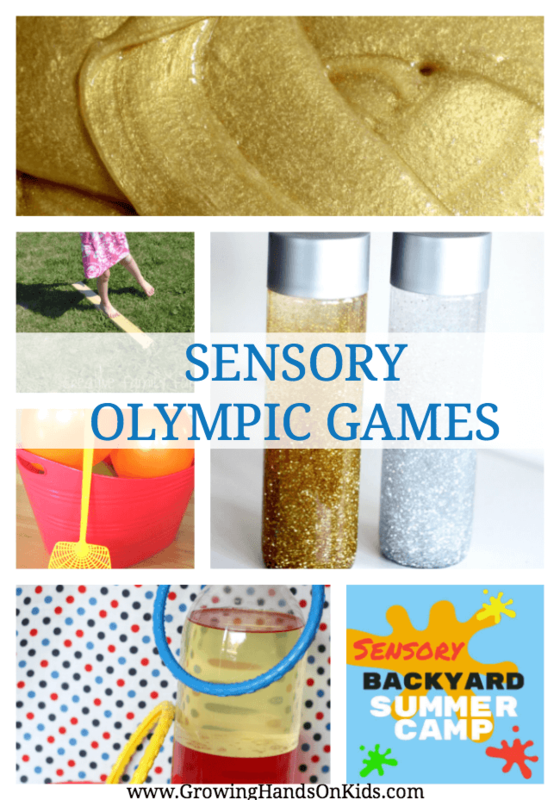 The Summer Olympic Games are this year (2016) in Rio and what better way to celebrate the Games at home than with a Sensory Olympic Games Summer Camp at home. 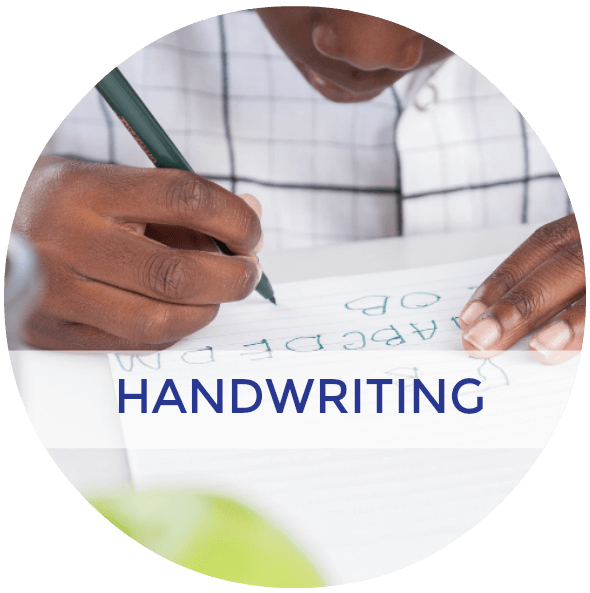 If you are not able to send your child to summer camp, these are easy ideas you can do at home to have a fun, sensory filled summer. 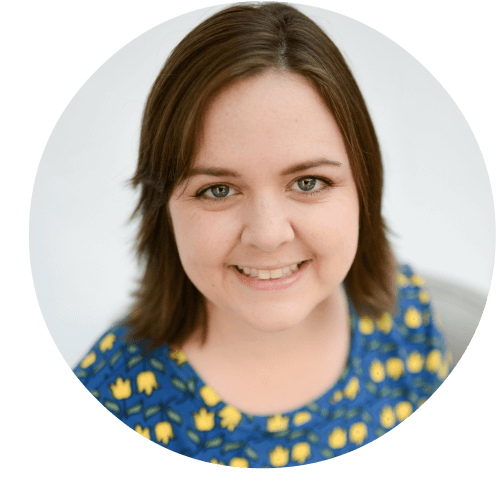 I am also teaming up with some awesome sensory bloggers for this Sensory Backyard Summer Camp blog series. 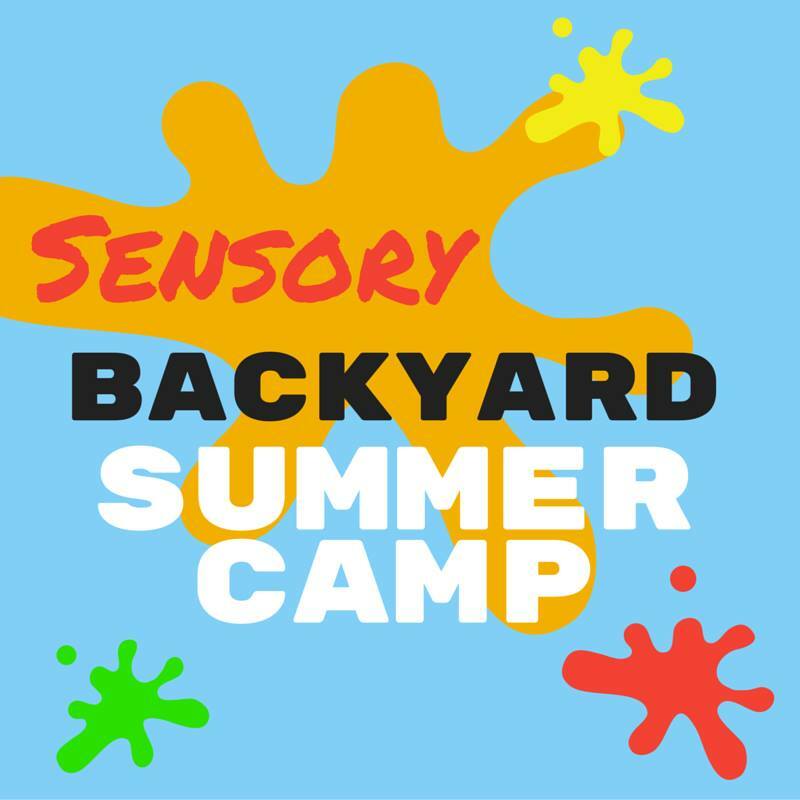 Be sure to scroll to the bottom of this post to see all the other sensory summer camp themes. 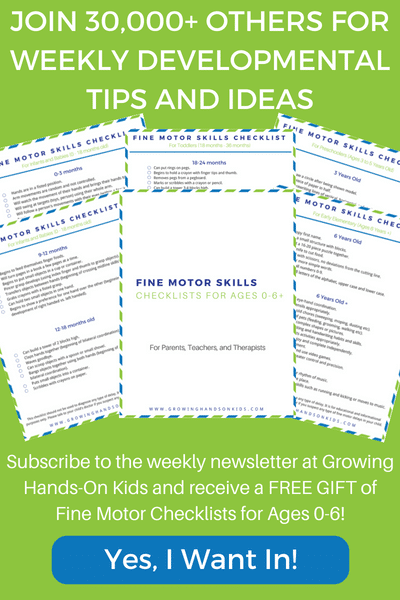 What is great about all these ideas is you can do them with one of multiple kids. 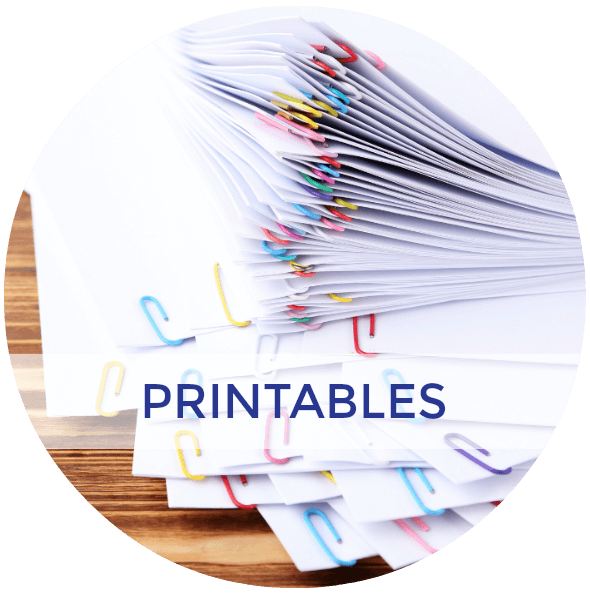 If you decide to include some others in your sensory backyard summer camp, here are some fun ways that you can divide into teams (or countries) and have more of a party theme. 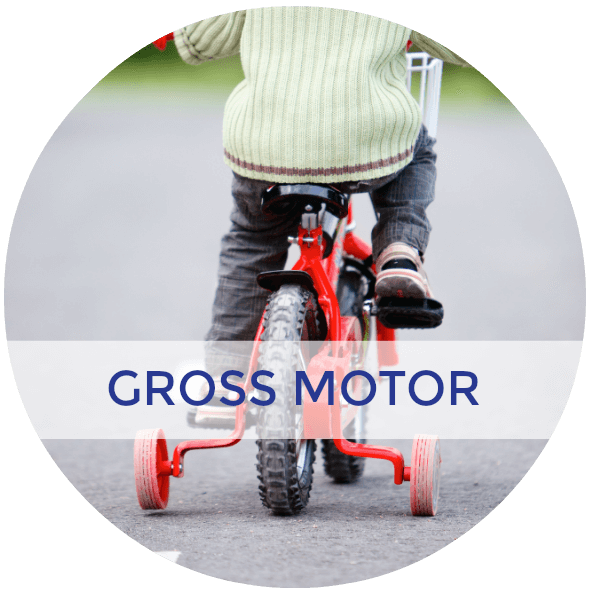 When you think of the Olympic Games, you probably think of all the gross motor activities first. 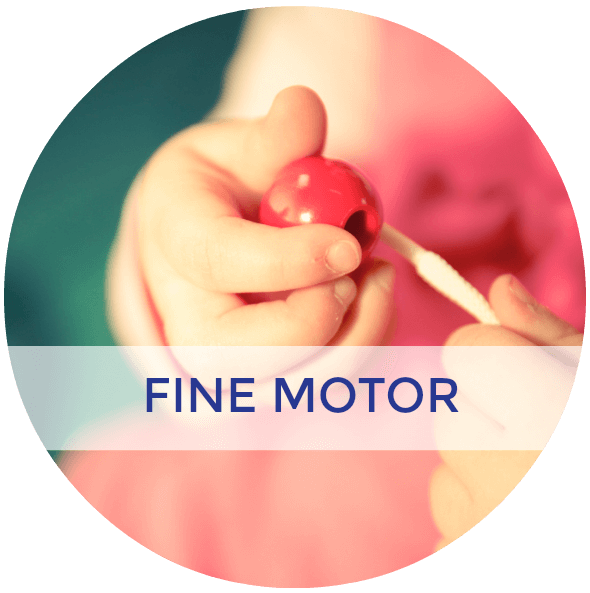 For a child struggling with sensory needs, starting with proprioception and vestibular activities first is usually the best way to start. The heavy work, whole body movement helps to ground many children and also gets the blood and oxygen flowing to their brain and muscles. Obstacle Course (with many opportunities for crawling into, over, under objects, through tunnels etc). 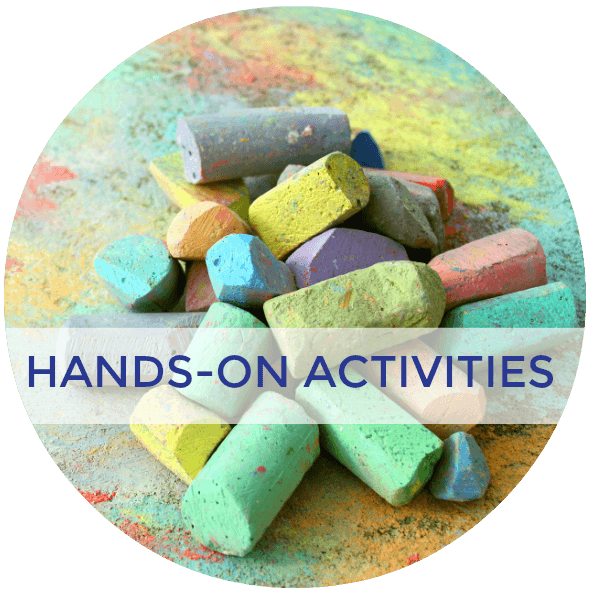 I put touch and sight together because the two activities I'm suggesting for this definitely fit into both categories and are overall very calming for children. 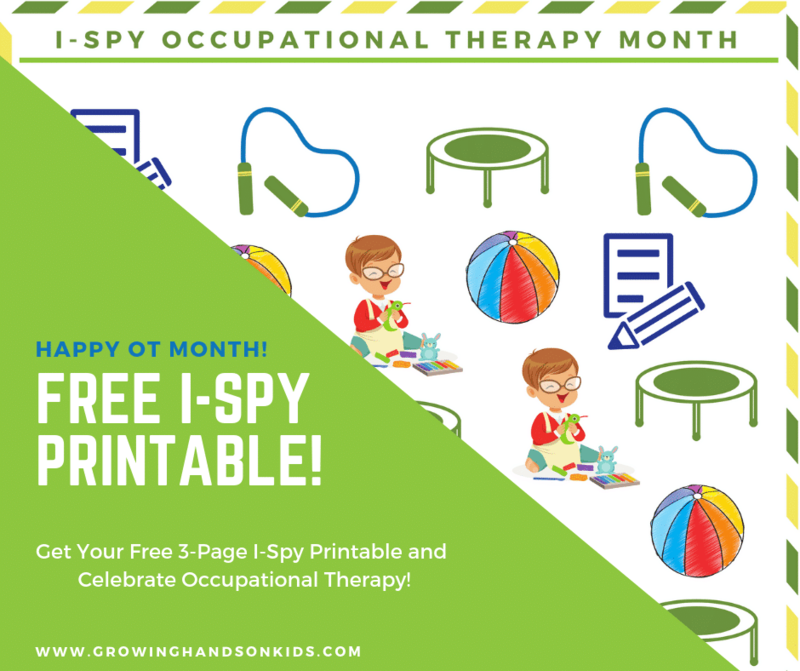 If you have a child who is becoming over stimulated during the activities, it is a good idea to provide some calming and soothing activities for them. Include the National Anthem of each country (specifically the host country) in your opening or closing ceremony. During snack or meal times, try introducing a snack or food that might be customary to eat in the host country. (This includes taste and smell – be aware of any dietary concerns if you are hosting other children than your own). 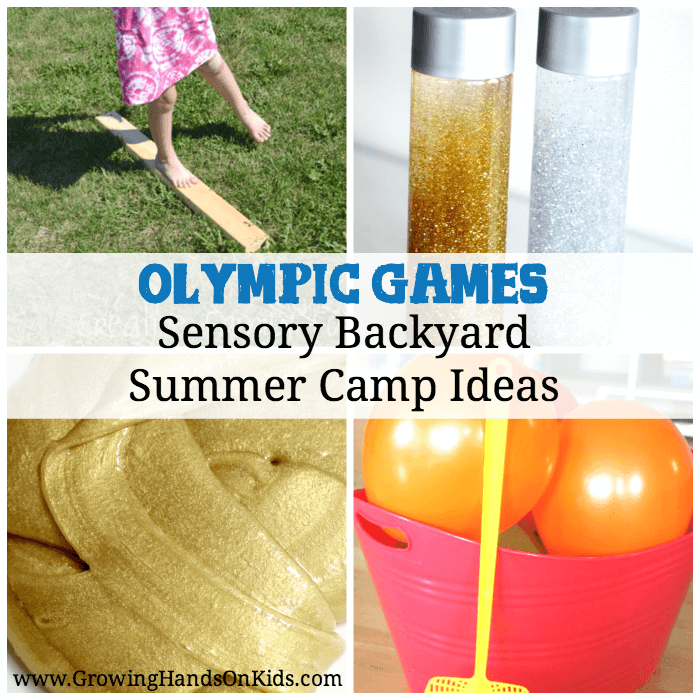 What are some fun ways you would include sound, taste, or smell in your sensory olympic game backyard summer camp? I'd love to hear your ideas in the comments below. 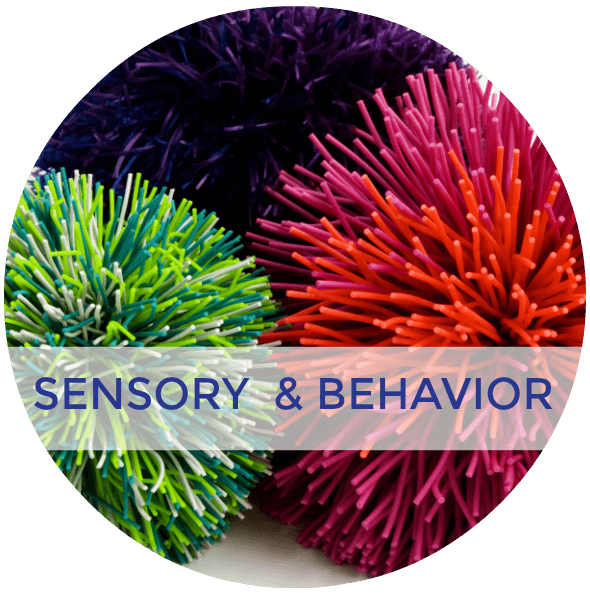 For even more sensory ideas, check out my sensory fun Pinterest board below.